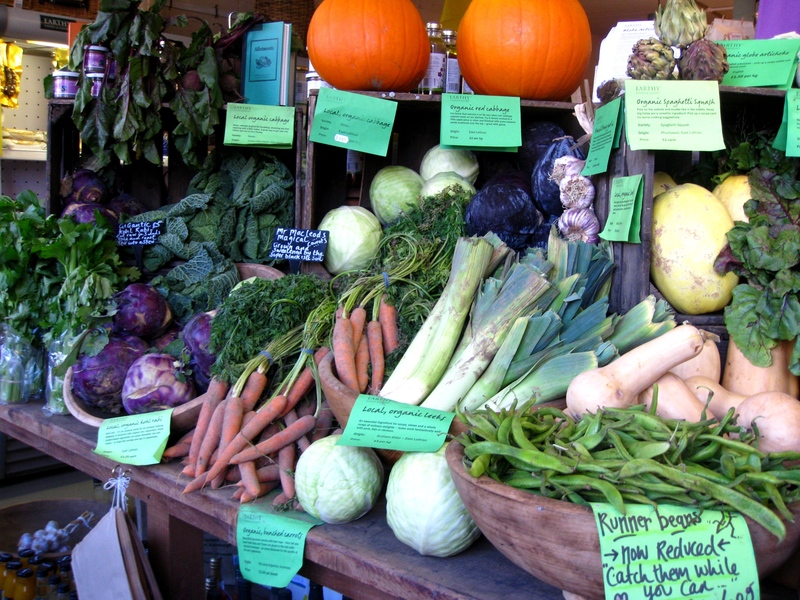 Earthy is tucked off Ratcliff Terrace behind their car park and is a treasure trove of locally grown produce. 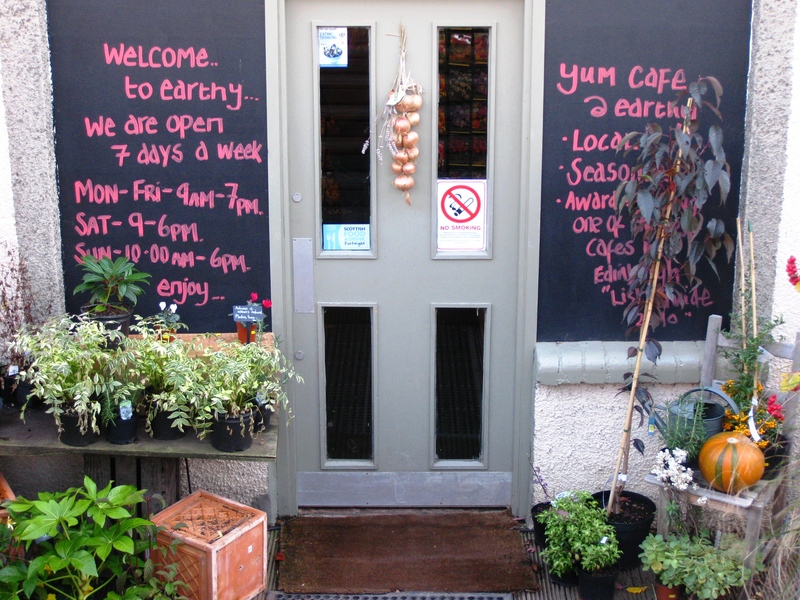 Pop though their beautifully decorated front door and climb the stairs to enter their shop and café. If you feel like really treating yourself and splashing out on some delicious vegetables, then this is the palace to come. As for the café, I’m not entirely convinced. Here, the service is friendly and you order at the counter before finding your seat where you are served. 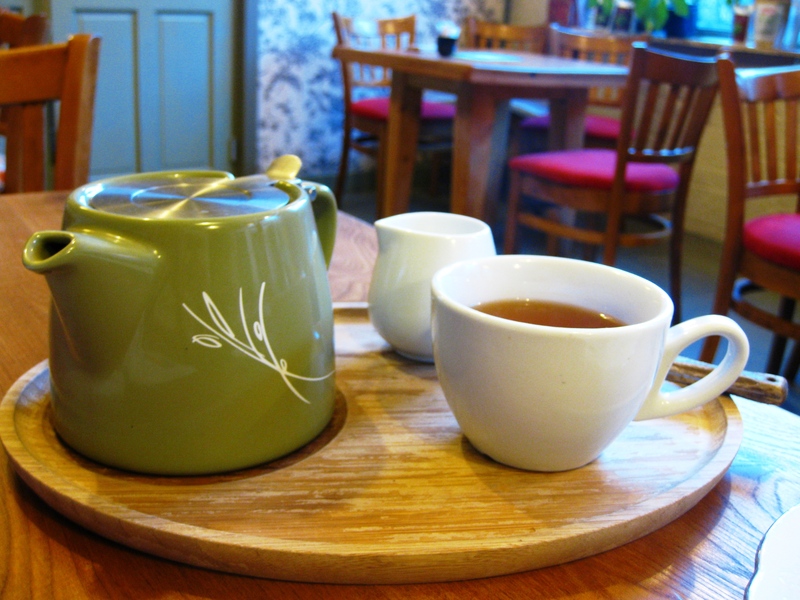 They have a large selection of loose tea (my favourite) which comes in a beautiful pot but doesn’t taste fantastic. Their coffee is not good. As far as the cappuccino is concerned it was unnecessarily large, the milk was too stiff and it was ever so bitter. On the upside, their cakes are very tasty. 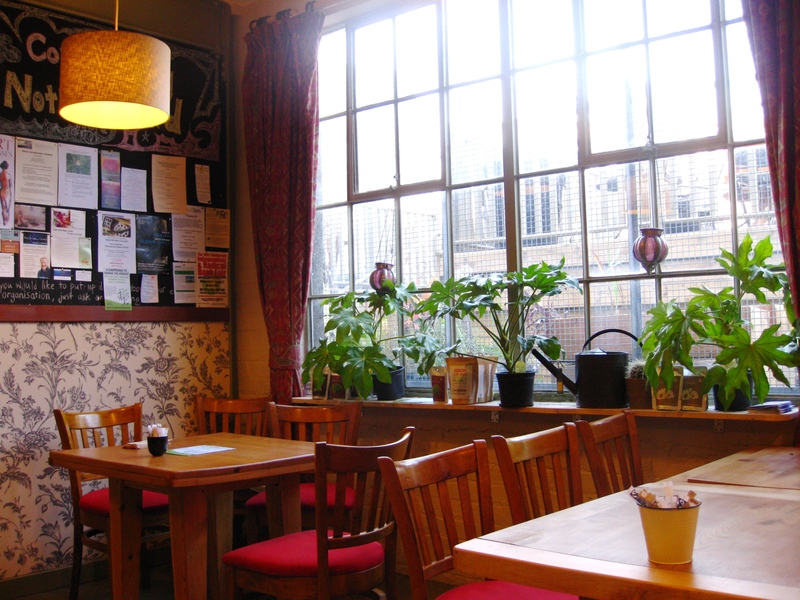 There are two seating areas, one upstairs by the counter with nice and bustling atmosphere, and the other downstairs in a cosy and quiet room. Downstairs, their tables are nice and large and there is no wifi connection and no music, making it a great place to get some work done without the perilous distraction of the internet. However, from about 4.30 weekdays, and at weekends the downstairs café practically turns into a crèche. This is great if you have kids as it is a very child friendly place, but not so great if you don’t. It seems to me that Yum café is more about the food than the drinks. 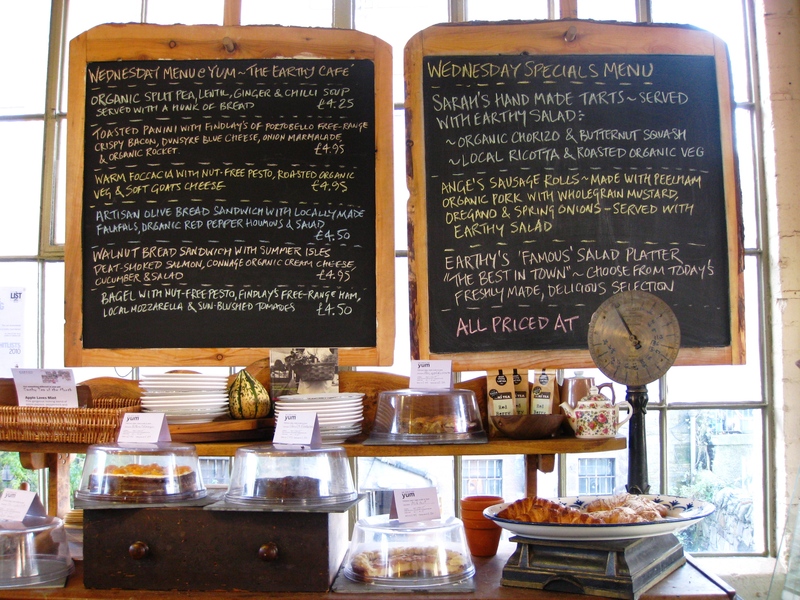 Come here for lunch, to get some work done (midweek daytime) or to pick up some amazing local produce.